It’s a key part of what the World Health Organisation (WHO) sees as universal health coverage, but palliative care is a neglected and unequal issue. Globally, 86% of people who need it, are not receiving it. The Worldwide Hospice Palliative Care Alliance (WHPCA) is one organisation looking to change that. 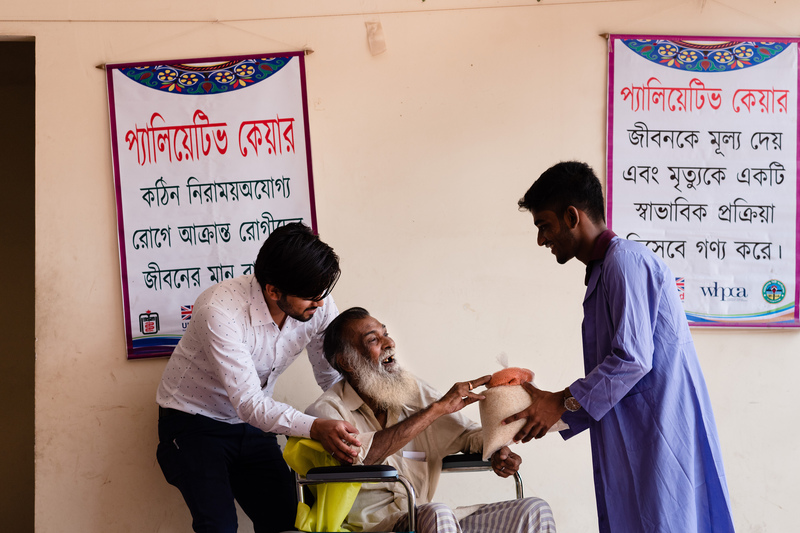 In 2018, the WHPCA, in partnership with the Department of Palliative Medicine at Bangabandhu Sheikh Mujib Medical University (BSMMU), launched a UK Aid Direct-funded project to bring a palliative care service to Narayanganj, Bangladesh. The lack of palliative care service in the region meant that those with serious and life-limiting conditions had high levels of physical pain as well as psychological distress and mounting health costs. One year on, the project has established a palliative care hub, is providing support to more than 100 patients and has trained 27 nurses and 17 doctors from the Narayanganj public hospital in the basics of palliative care, a subject that does not exist on the medical or nursing curriculum. To help build awareness and advocate for the service in Narayanganj, WHPCA has enlisted the support of the local community. Local people have been trained as Palliative Care Assistants (PCAs), a new role that has been introduced to the city. PCAs visit patients where they live to minimise travel costs and to encourage the building of a compassionate community around the patient’s home. 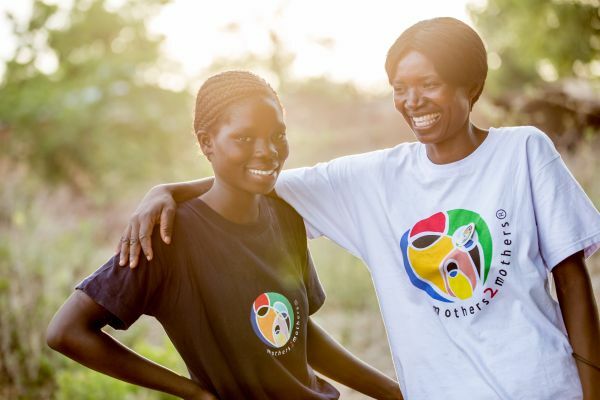 93 community volunteers have also been trained to act as ambassadors for palliative care services and support the project by referring potential patients, visiting patients and training other volunteers. However, one of Nadia’s concerns is whether this service will continue to exist after the project ends. WHPCA has already started engaging local authorities to ensure that the momentum gained in Narayanganj is maintained. The organisation has obtained support from Narayanganj City Corporation Mayor, Selina Hayat Ivy, for the project and she has provided a statement of her intention to continue key elements of the project once the international funding comes to an end. 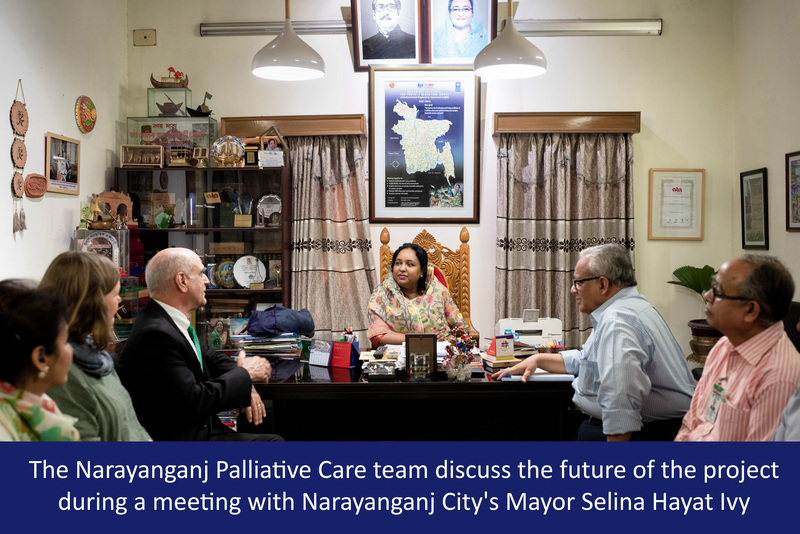 Furthermore, one of WCHPA’s partners – the Department of Palliative Medicine at Bangabandhu Sheikh Mujib Medical University – was involved in the creation of policy and clinical guidelines for palliative care in Bangladesh. A step forward to ensuring that palliative care is available throughout the country.